After two consecutive weekends of Dust, Heat Music and Dancing in Palm Springs, Coachella is sadly over for the year. I am happy to be back in LA catching up on my outfit posts! The 70’s are back with a vengeance, and I am totally digging it. 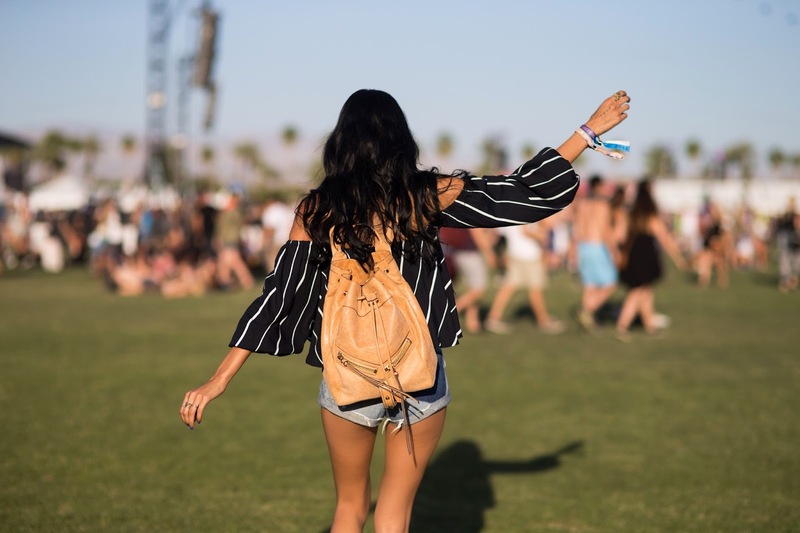 Off the shoulder shirts, denim shorts and a stylish backpack are the perfect festival necessities! slap on a pair of basic round sunnies and booties and off to dance your night away! I'm completely searching this. From the make t shirts, denim pants along with a fashionable back pack would be the ideal event essentials! punch upon a set of fundamental circular sunnies as well as booties as well as away in order to dancing your own evening aside!